Leading Exporter of industrial rubber parts from New Delhi. 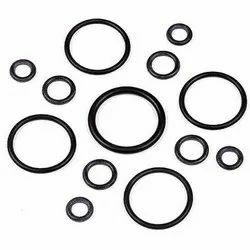 Vikas Rubber Industries is a leading, manufacturer and one-stop source for all your Standard and Custom Rubber Gasket and Sealing requirements. We have molding machines upto 2.5 long and can manufacture all kinds of molded rubber components as per sample. Looking for Industrial Rubber Parts ?